We’ve enjoyed a tremendous bull market from 2009 into early 2018, but for the past three months the S&P 500 has been in correction territory. Is this another hiccup in the journey upwards, or is it the start of another multi-year period of flat or negative returns? Some investors prefer to avoid that question and focus on portfolio income generation rather than hoping stocks just go up. Retirees are an obvious group that benefits from portfolio income, because they want to live off of their portfolio rather than focus on growth. But younger investors can also benefit from income generation, because it helps a portfolio continue to do well even in bearish markets. Some investors sleep better at night knowing that, whether markets are up or down, at least their holdings are sending them regular paychecks. The most popular way to generate portfolio income is to invest in high dividend stocks, and for good reason. Stocks that give 4-8% dividend yields only need to grow at slow rates to give investors great returns. For example, a stock that pays a 5% dividend yield and grows its dividend by an average of just 4% per year can be expected to produce about 9% annual returns over the long-term, assuming it has no major changes in valuation. However, building a portfolio entirely out of high dividend stocks is a risky idea. Second of all, most high-yielders have fairly high dividend payout ratios, meaning that even slight reductions in their income could put their dividends at risk. And third, most of these types of business are asset-intensive and therefore rely on high levels of leverage to produce good returns on equity. This makes them sensitive to rising interest rates. The most conservative high-yielders are great for income generation, but it also helps to have some stocks from other sectors, with higher growth, lower leverage, and lower dividend payout ratios, to help diversify your portfolio. That’s where covered call options help. Higher volatility means that option sellers can make better returns for selling covered calls or cash-secured puts. 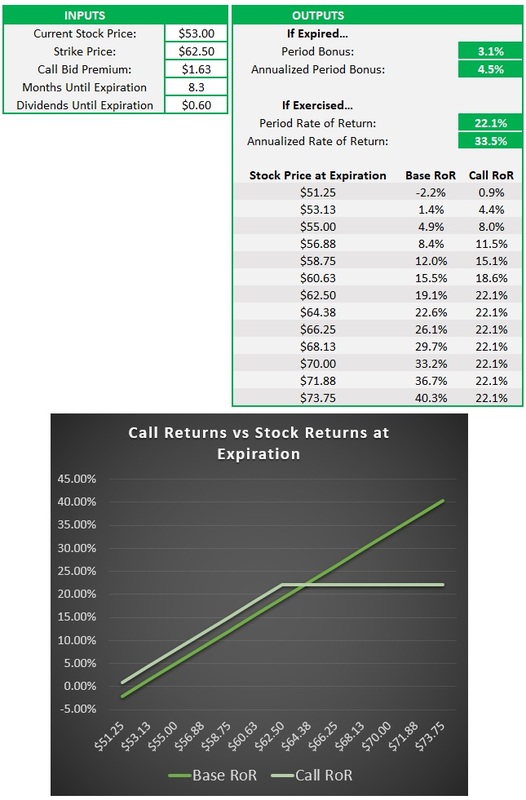 If you have a stock that yields 2% for example, and you want to generate more income from it, you can sell a covered call and earn another 2-6% income on top of that, in exchange for giving up some of your upside potential. Intel (ticker: INTC) has long been a great stock for selling options on. It has a wide economic moat, but also enough volatility to give decent premiums. 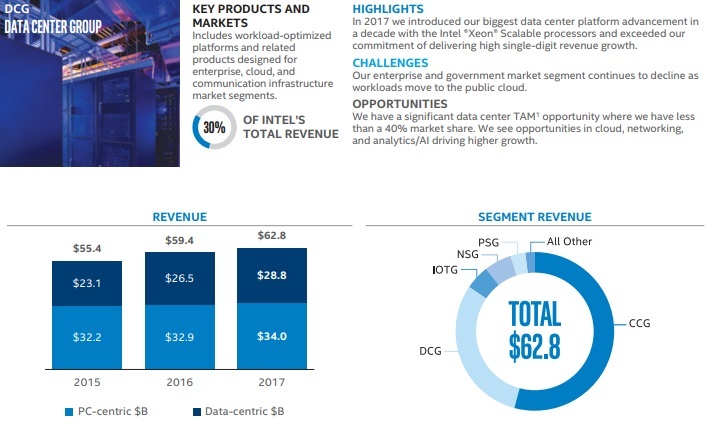 Along with processors for data centers, Intel is increasingly offering field programmable gate arrays (FPGAs), non-volatile memory, self-driving automobile sensing technology, and internet of things (IOT) technologies, so that it can continue growing even in a world where PC sales remain flat. Intel currently offers investors a dividend yield of a bit over 2.2%. It’s currently about $53/share, and if you sell January 18, 2019 covered calls at a strike price of $62.50, you’ll be able to generate another 3% income yield during an 8-month period (which is well over 4% annualized) from the position from option premiums. 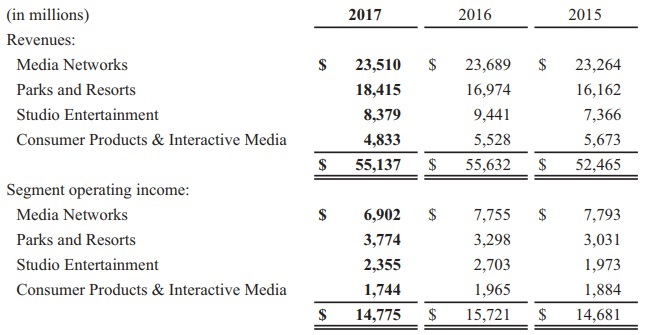 Disney (ticker: DIS) is a diverse media conglomerate that historically remains profitable even in recessions. The company owns major television channels like ABC, ESPN, and the Disney Channel. They also have partial stakes in other channels like the History Channel, A&E, and Lifetime. Of course, they also own their namesake resorts around the world, and have a well-known animation studio that produces top hit films. Currently, they also own Marvel and Lucasfilm, giving them control over lucrative superhero and Star Wars universes and characters. Investors are rightfully concerned about Disney’s television networks. With more and more people leaning towards online streaming, and picking individual channels rather than buying whole packages, the old-style television networks that used to enjoy powerful moats are growing weaker. Disney must successfully navigate the transition to online streaming, while challenged by powerful rivals like Netflix. But their other properties, like their resorts and studio segments, are on fire. The biggest resorts, and many of the most profitable movies, are by Disney and their subsidiaries. And all of this fuels their consumer products and interactive media, with characters and stories that have been around for decades. That’s a growth rate of about 12% per year, while it also pays a 1.7% dividend yield. Disclosure: The author is long INTC.